Adopt your pets, including hamsters and guinea pigs, etc. Sponsoring an Animal helps DAWS. When you sponsor an animal, you will receive a sponsorship letter, a picture of the animal you have sponsored, and your name on the animals’ bio on the DAWS website. Please visit our animal sponsorship page to learn more. Ask your school if you can start an animal advocacy and education club. If interested, please send an email to daws@daws.org. Start a donation drive around your neighborhood or at school to benefit DAWS. Please download our Wish List for a list of items we need. If you are interested in community service credit, this activity is the equivalent to 5 hours. Please contact the Community Outreach Coordinator for Community Service Credit at daws@daws.org. Bake treats for the shelter animals. If you are interested in community service credit, this activity is the equivalent to 3 hours. Please contact the Community Outreach Coordinator for Community Service Credit at daws@daws.org. Make No Sew Cat Blankets for the Cats at DAWS. The cats at DAWS love to sleep on these fleece blankets while they wait for their forever homes. Download our easy-to-follow instruction sheet or watch the video. If you are interested in community service credit, this activity is the equivalent of 1 hour for each blanket made up to 10 blankets. Please contact the Community Outreach Coordinator for Community Service Credit at daws@daws.org. Construct Cat Houses for Outdoor Cats. This website has easy-to-follow instructions. If you want to build the “Cadillac” edition, download instructions Materials needed include lumber, shingling, nails, screws, etc. that you can purchase at a hardware store. 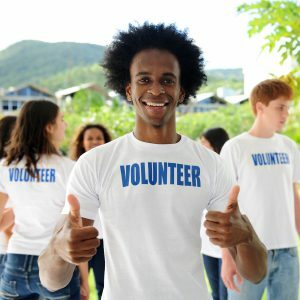 If you are interested in community service credit, this activity is the equivalent of 8 hours. Please contact the Community Outreach Coordinator for Community Service Credit at daws@daws.org.